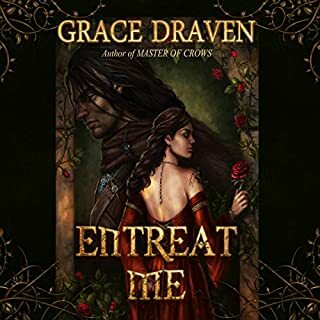 Would you try another book from Grace Draven and/or Jay Britton? Grace Draven has become one of my favourite writers of late. Her luscious prose, unique characters and sharp wit are delightful. Jay Britton, not so much. Silhara, of course. However, Martise, Gurn & Cael also fit the bill. Would you be willing to try another one of Jay Britton’s performances? Doubtful. He turned this unusual, charming, funny yet albeit unperfect story in to part BBC newscast and wildly overacted folly. I laughed outloud a couple of times! Was Master of Crows worth the listening time? Yes, but only in that I enjoyed the novel by reading it myself prior to listening to the narration. I only bought the narrated copy because I liked the story so much. I did not end up finishing the narration as it completely destroyed the way I read the novel. Ms. Draven's lovely use of language, lor, and humour to envoke the sensuous, the macabre and the saracstic was completely destroyed for me by Jay Brittons performance. Just curious: why was a female narrator not commisioned for this? Not always certainly, but many times I find that I prefer the way a woman reads a book written by a woman unless the book is exclusively from a man's perspective. 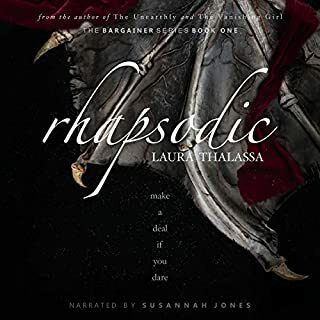 While this novel was about Silhara's experiences, it was equally about those of Martise and I believe I would have appreciated a female perspective in this case far more. Will there be a narration prepared for the follow-up to MoC - The Brush of Black Wings (which I much prefferred to MoC)? 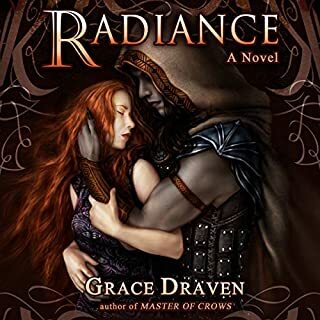 Grace Draven does it again. Awesome story, great narration, and hot like a thousand suns. At first I didn't understand why The Master of Crows had such a gruff voice, but the plot reveals why. And Jay Britton, I commend you on doing such a difficult voice and pulling it off spectacularly! I can't wait for more! What would have made Master of Crows better? The book leaned heavily into well-trodden tropes without any attempt to subvert them in any meaningful way. The arc of the story felt meandering and without any real underlying meaning. What is the protagonist's deeper purpose? Is it truly just to serve men? Is she allowed to be the protagonist in her own story? Do the men allied around her consider her to be their equal or do they feel ownership over her? For a modern story within the Romance genre (by a writer whose other books feel very progressive), the story felt surprisingly anti-woman. Despite having a female protagonist, the crux of the story revolved around men, men's desires, men's rules of conduct and ownership of women, without any questioning or subversion. The thrust of the story, its climax, and resolution are all reactive to the actions of men, while the protagonist doesn't have any power or say regarding any of it. Frustratingly, none of these masculine constructs feel deliberate; they all seem written unquestioningly, without self-reflection, and without a strong editorial hand. Possibly not. It was hard to take Britton's BatmanVoice seriously at times. Over time, I became increasingly disengaged from and disappointed in the story. The relationship had a obvious power imbalance but not one that was acknowledged or leaned into within the narrative. That's likely why the romance felt weak and unexciting to this reader. There was also a good deal of exoticism that I could do without. The dark mysterious not-Bedouins, whatever is going on with Gurn and his gentle savage mute Giant role. The end result was a uncomfortable other-ing by creating a fantasy race of brown people where women aren't allowed to make eye-contact with men but are allowed to own property so it's okay? These archetypes can have a place in stories but I wish there'd been an amount of thought or depth or research put into them. As a fan of Draven's Radiance, I was surprised to read such an unstructured book with a protagonist given zero agency. It felt like many of the themes that appeared in the book were not intentional and happened organically, and were likely the opposite of the author's intention. It felt like a freshman work. I thought the characters were flat, the romance unconvincing, and the fantasy, while it could have been interesting, pretty much ignored until the last quarter of the book. While the narration was fine, there were weird pauses every couple of sentences. I think it may have been taken from a CD and no one thought to take out the pauses between tracks. Made it drag more. Simply sublime, from the exquisite prose to the amazing narration. A thrilling book filled with love and despair, sorrow and joy, and a triumph sweeter than Silhara's delectable oranges. An epic and unforgettable master-work. I love this story! Draven creates the most memorable couples and stories. I like the narrator but there were big breaks in the reading from one sentence to the next and that was bit strange. I'm only 3 hours in but I felt I had to comment. So far, the story is amazing. I wish I were listening to this at Halloween instead of near Christmas. It's spooky and dark. I've always loved gothic romance but hate when they get cheezy. This reminds me of a good gothic romance + fantasy themes. The main reason I wanted to comment is because of the negative reviews of the narrator. I've never minded, and sometimes preferred male narrators for romance, so maybe I'm biased. The narrator for this book is on point. His voice for Silhara..... wow. And I've completely forgotten he's male when he reads the female characters. Can't wait to finish this book!! 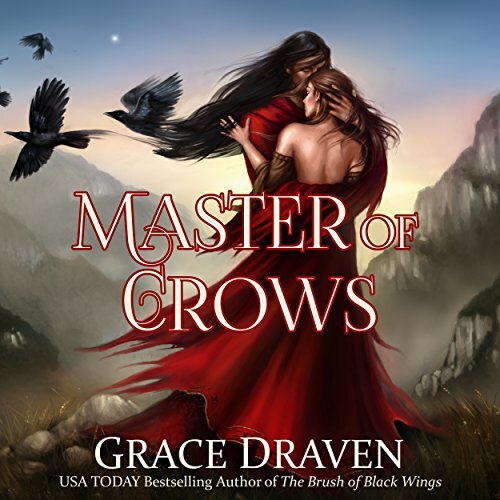 Grace Draven is a master of her craft! Ms Draven’s stories are unique and well written. 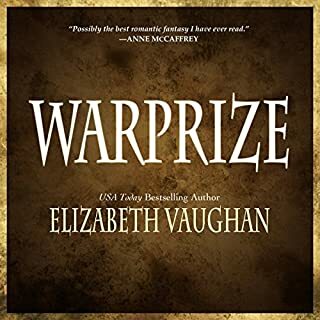 In both this novel and her Wraith Kings series (which I hope she continues) she steers away from the traditional romance and shows us characters who are imperfect and relateable, while, without being overly detailed or diverting from the story line into explanations, she paints worlds and societies that feel tangible. She is a gifted story teller. I both read and listened to this book, and could not turn it off or put it down. My heart! Silhara and Martise are perfect! I loved this book, and starting to call myself a fan of the author, 3 books I've listen, 3 books I loved. Can't wait for a next book! 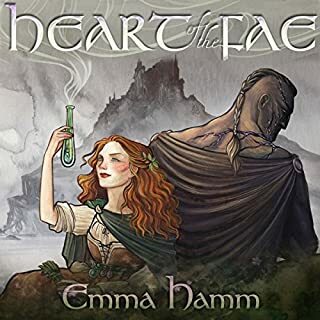 I loved this story when I read it last year and I was so excited to know it was coming out in audiobook format too! The characters are so magnetic and although Silhara isn't easy to grow fond of at first, you soon find yourself falling for him. Jay Britton did an amazing job bringing this particular character to life and his very specific voice was perfect.The growing love between the characters is far from predictable and certainly not cheesy. The narrator did a good job in bringing the female character's voice off the page and I was swept away with the story telling from the word go! 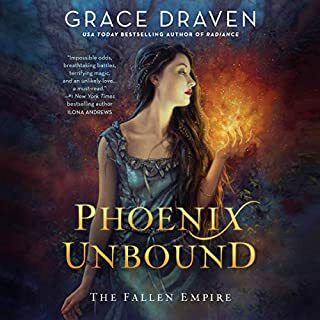 A stunning example of Grace Draven's writing and superb narration by Jay Britton. I would definitely recommend this and am looking forward to further collaborations between Grace and Jay. Holy Hera that was awesome! See heading. I loved it. Amazing characters, flaws and all, Totally believable. The real message and places are vibrant and so well explained! Voice acting was amazingly spot on! How he managed both the ruined throat of a man to singsong voice of a woman in the same sentence shows his talent. Loved it, it was brilliant! The narrator was fab and can't believe he could sustain such a voice for the entire audio. Highly recommend!